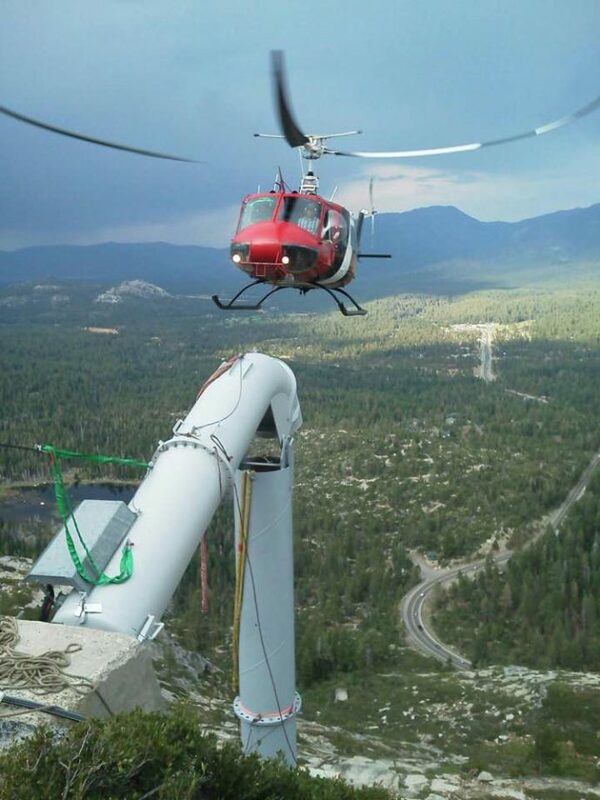 VHA tail rotor blades provide more tail rotor authority to A&P Helicopters’ Huey and 206s for operations in the High Sierra Nevada mountains. California operator A&P Helicopters uses a fleet of light and medium utility helicopters to accomplish a wide variety of tasks in construction, law enforcement, power and pipeline patrol, and more. Fred and Willa Young founded the company in 1988 with a single MD500. Now 30 years later and under the leadership of current owner Vickie Compton, the A&P fleet has grown to include one UH-1H Huey, one 206B3 and one 206L3—all equipped with VHA tail rotor blades—plus two MD500s. One example of the can-do attitude and professionalism of the A&P team occurred in 2013, when the A&P Huey lifted 124 air conditioning units to the roof of the then-new Amazon fulfillment center in Tracy, California, in a single day (see video below). Starting at 7:30 am on a Sunday morning and averaging less than three minutes per lift, the Huey delivered more than 180,000 pounds of equipment to their assigned places on the roof by the day’s end. In July 2018, A&P lifted 50 air conditioning units to the roof of another Amazon building in Stockton, CA. Based at Richvale Airport about 90 miles north of Sacramento and at the edge of the Sierra Nevada mountain range, A&P Helicopters also conducts a lot of high altitude work in both sun and snow. 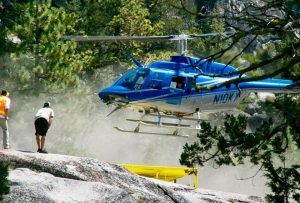 Occasionally A&P helicopters ferry hikers and other outdoor enthusiasts to the famed Rubicon 4×4 trail that ends near Lake Tahoe, but more often they are long-lining utility workers to towers high above the already high terrain of the Sierras. Working in all seasons, A&P helicopters assist with both fire fighting and snow surveys, and even serve as a videography platform for the film industry.